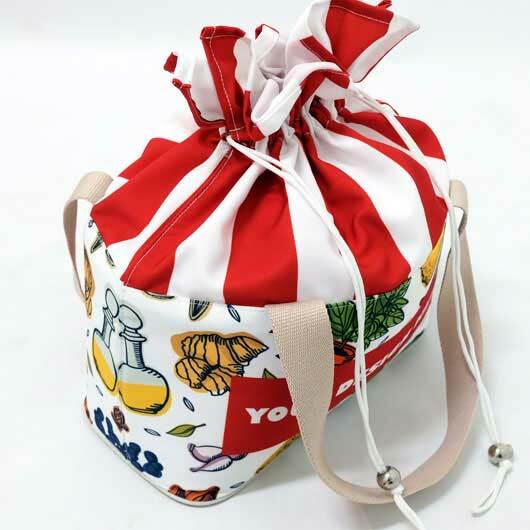 It is not easy to bring your lunch box with the water bottle and any other tableware separately. It is not practical. 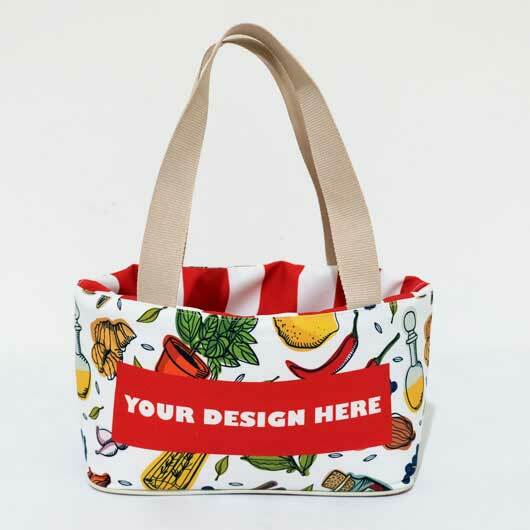 You need our lunch tote bag! 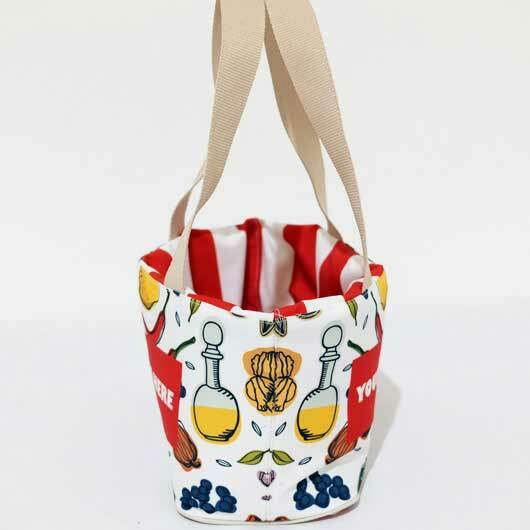 All tableware can be loaded with this practical item. 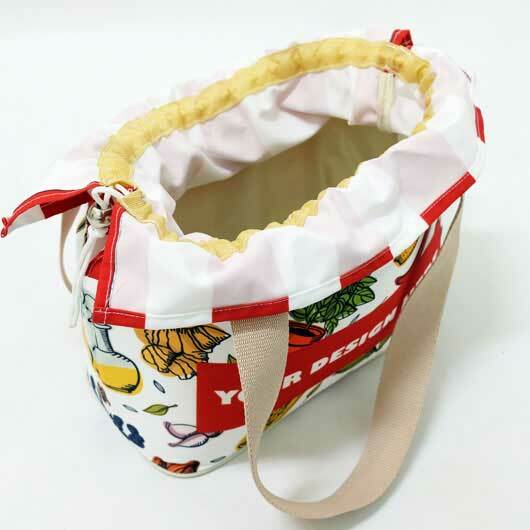 The lunch bag made of high-quality materials: Canvas Lynna and Drill Clayton. Canvas Lynna is Canvas fabric with doff colour printing and thinner than Poly Canvas. Canvas widely know as the best material for creating a durable item. While Drill Clayton is Polyester with triangle texture which makes it looks elegant, sharp and doff impression printing result, soft and falling elegantly. 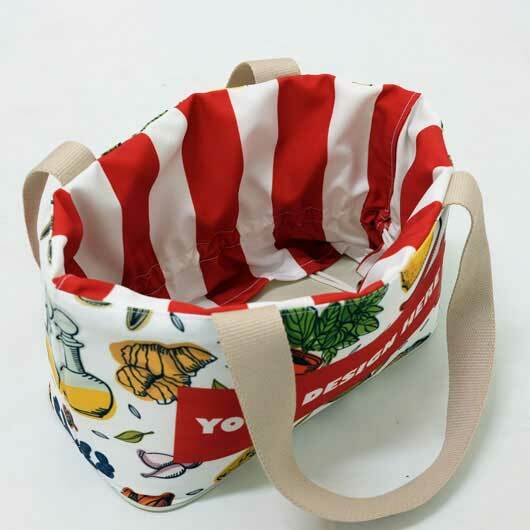 Both are suitable and great materials for making lunch tote bag. 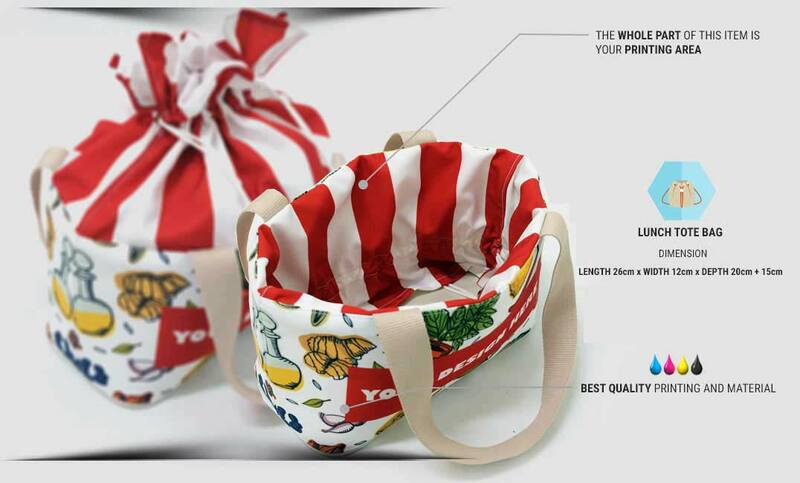 The bag has a large enough main space for putting your lunch box, water tumbler, and other tableware. 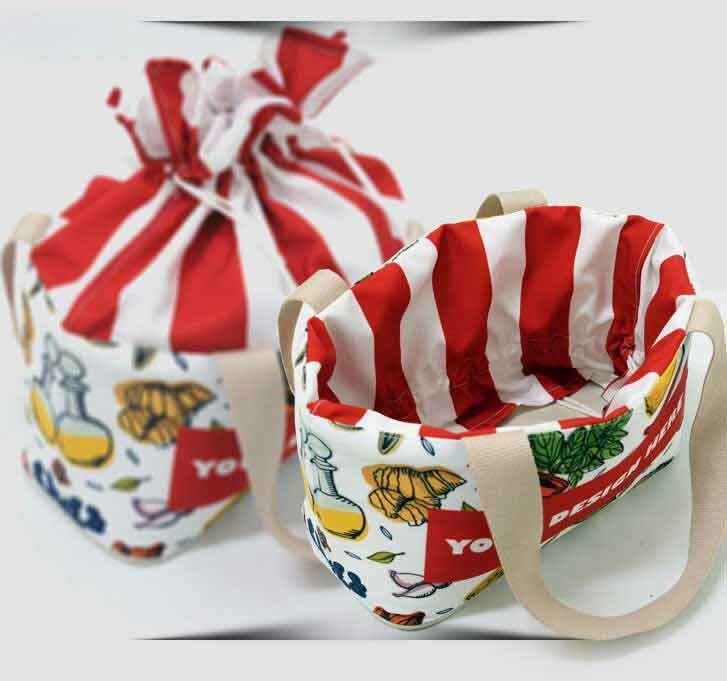 The closure completed with a drawstring rope and it also equipped with a handle for you to carry it everytime you are going to have lunch with friends. 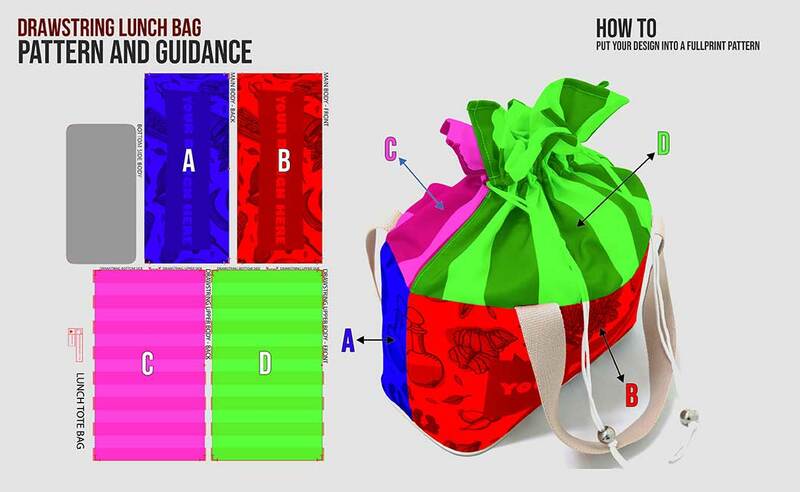 And yes, this food bag is customizable. 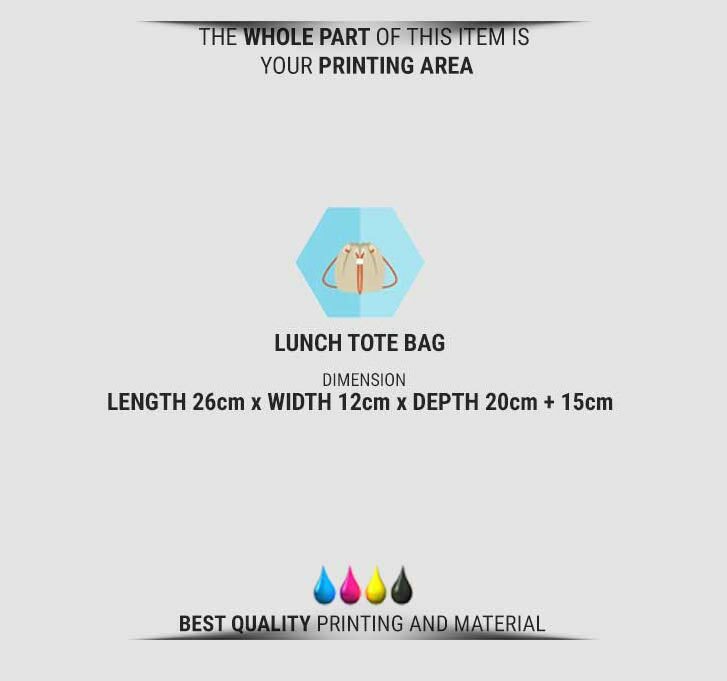 The whole parts of the bag, except the handle, is your printing area. 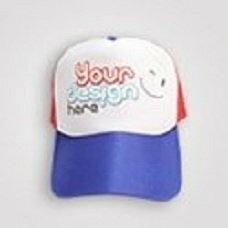 Any designs you like can be printed on it. Order yours now! Polyester with triangle texture which makes it looks elegant, sharp and doff impression printing result, soft and falling follows the body.